Scientists at MIT and elsewhere have analyzed data from K2, the follow-up mission to NASA’s Kepler Space Telescope, and have discovered a trove of possible exoplanets amid some 50,000 stars. The planet appears to orbit HD 73344 every 15 days, and based on the amount of light that it blocks each time it passes in front of its star, scientists estimate that the planet is about 2.5 times the size of the Earth and 10 times as massive. It is also likely incredibly hot, with a temperature somewhere in the range of 1,200 to 1,300 degrees Celsius, or around 2,000 degrees Fahrenheit — about the the temperature of lava from an erupting volcano. “We think it would probably be more like a smaller, hotter version of Uranus or Neptune,” says Ian Crossfield, an assistant professor of physics at MIT who co-led the study with graduate student Liang Yu. The new analysis is also noteworthy for the speed with which it was performed. The researchers were able to use existing tools developed at MIT to rapidly search through graphs of light intensity called “lightcurves” from each of the 50,000 stars that K2 monitored in its two recent observing campaigns. They quickly identified the planetary candidates and released the information to the astronomy community just weeks after the K2 mission made the spacecraft’s raw data available. A typical analysis of this kind takes between several months and a year. 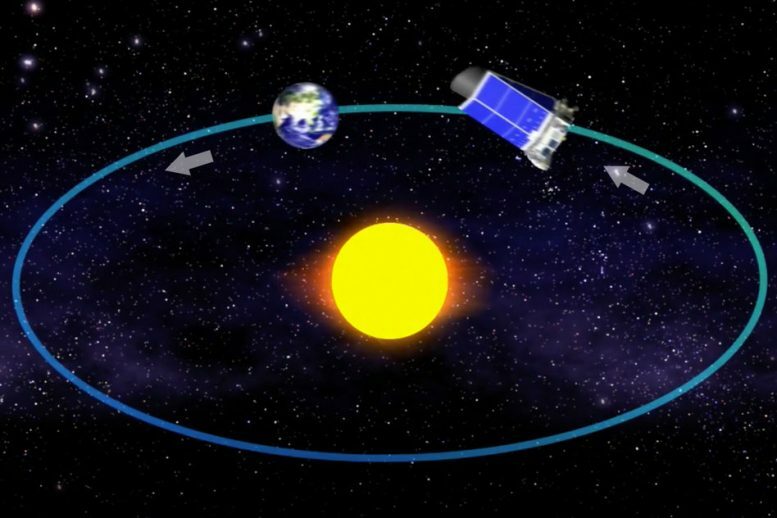 Such speed will also be a necessity when scientists start receiving data from NASA’s Transiting Exoplanet Survey Satellite, TESS, which is designed to monitor nearby stars in 30-day swaths and will ultimately cover nearly the entire sky. The team analyzed data from K2’s 16th and 17th observing campaigns, known as C16 and C17. During each campaign, K2 observes one patch of the sky for 80 days. The telescope is on an orbit that trails the Earth as it travels around the sun. For most other campaigns, K2 has been in a “rear-facing” orientation, in which the telescope observes those stars that are essentially in its rear-view mirror. The C16 and C17 campaigns, on the other hand, were forward-facing; K2 observed those stars that were in front of the telescope and within Earth’s field of view, at least for the next several months. Crossfield, Yu, and their colleagues took this as an opportunity to speed up the usual analysis of K2 data, to give astronomers a chance to quickly observe planetary candidates before the Earth passed them by. The team then worked around the clock, looking through these 1,000 stars by eye for signs of transits, or periodic dips in starlight that could signal a passing planet. In the end, they discovered 30 “highest-quality” planet candidates, whose periodic signatures are especially likely to be caused by transiting planets. “Our experience with four years of K2 data leads us to believe that most of these are indeed real planets, ready to be confirmed or statistically validated,” the researchers write in their paper. While the nature of a star doesn’t typically change over the course of a year, Crossfield says the sooner researchers can follow up on a possible planetary transit, the better chance there is of confirming that a planet actually exists. Be the first to comment on "Scientists Report Discovery of Nearly 80 New Planetary Candidates"